Sao Paulo (THE WIRE PRESS) – Daniel Davidsohn (http://www.danieldavidsohn.com/) announces the publication of his newest international thriller, “The Karma Code,” which will be available on Kindle on June 29. 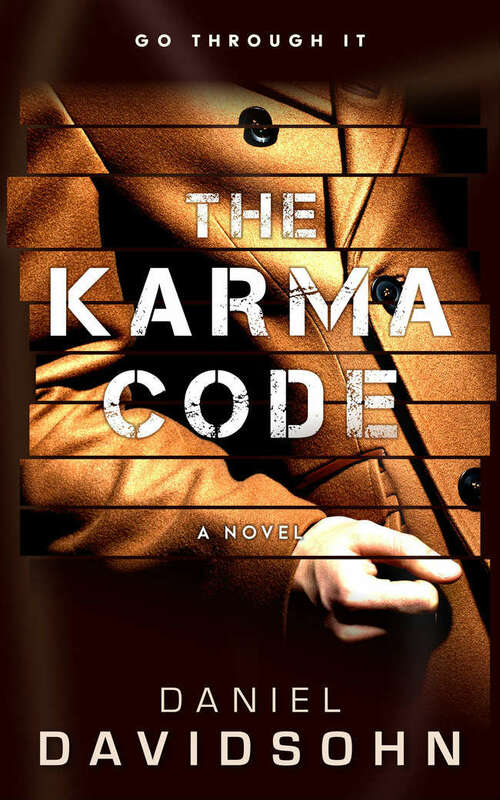 “The Karma Code” unfolds in Davidsohn’s typically fast-paced style. When an American research scientist is murdered in a remote Finnish village, his distraught niece is determined to bring those responsible to justice. She calls on Boston private investigator Harry Walker, and together the two of them set off for Scandinavia. However, it quickly becomes apparent that Candice and Harry have a target on their backs. What follows from this setup is a race for survival across Finland, Scotland and the U.S. Everyone has the same objective — to seize the murdered researcher’s controversial experiment, known as the Karma Code, which has the power to access a surviving human consciousness and predict an individual’s fate. Academic research into the paranormal is not confined to the pages of fiction, and Davidsohn took inspiration for “The Karma Code” from some of these little-known investigations at prestigious institutions. For example, the University of Virginia’s Department of Perceptual Studies continues to explore topics like reincarnation, near death experiences (NDEs) and communications with the deceased. In addition, the VERITAS and SOPHIA projects at the University of Arizona have conducted similar inquiries. The jury is still out on the reality of paranormal phenomenon — which is no doubt part of what makes it such appealing and provocative subject matter for works of fiction. Moreover, proof of such phenomenon and its practical implications would be extremely valuable. It’s natural, then, that Candice and Harry are being hotly pursued in “The Karma Code”: The knowledge they carry is worth killing for. Daniel Davidsohn was born in 1969. His keen interest in the creative arts led him to direct experimental short films and write several screenplays. One of these, Café, was well received and won the hollywoodscript.com contest in 2005. He is the author of several novels, including “From The Nile to The Euphrates” (2009 — Portuguese Edition), “Mare Crisium” (2015 — Portuguese Edition), “A Higher Power” (2016) and “The Karma Code” (2017).